"Where was this course when I was in college? Harvard physics professor Dave Weitz teaches a class called Science and Cooking, using food as a tool to explain physics. It's one of the most popular courses at Harvard." "I sat in during a class with my friend chef Ken Oringer where we learned all about maltodextrin, a colorless, flavorless enzyme derived from cornstarch. Sounds gross, but just wait. This powder won't dissolve in fats and oils, so the oils grab onto the enzyme and add flavor. If you add olive oil and mix it up it becomes an olive-oil-flavored powder." "Ken uses the same technique in his restaurant Clio to create a sausage powder by pan searing sausage and mixing the juices with maltodextrin. 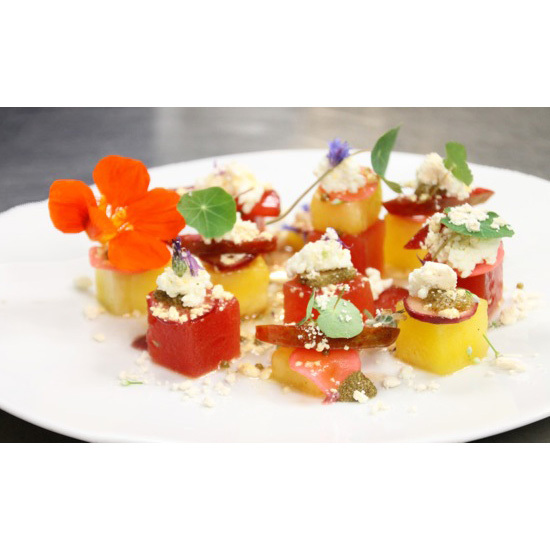 I tried Ken's take on a New England Summer Salad—compressed watermelons, feta cheese and a sprinkling of sausage powder. Just amazing." "I've said it a million times, but just in case you missed it, Grant Achatz is arguably the most important chef in America. 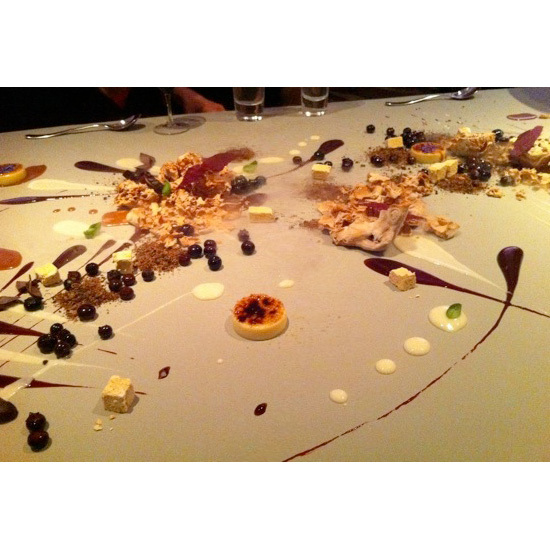 A 20-some course meal at Alinea will set you back a few Benjamins (if you can even get a reservation), with each dish more impressive than the next. I could rave about everything I've eaten there, but this time, I'll stick to dessert. First of all, it's served on a rubber mat that covers the entire table." 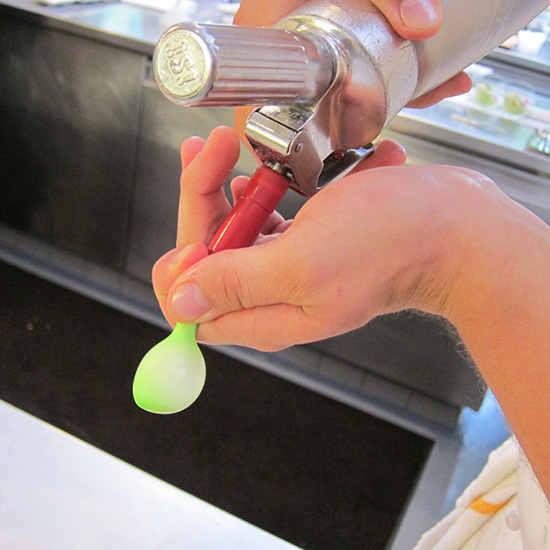 "Chefs (sometimes Achatz himself) essentially paint the table with nitro-frozen coconut mousse (created by putting the liquid form in a balloon and adding nitrogen oxide), coconut crunch, coconut milk, chocolate and menthol crumbs, menthol-infused cream and a quick frozen dark chocolate mousse. Add some shards of crystalized menthol and a spot of perfectly circular warm chocolate pudding and just dig in." "Felipe Bronze, chef-owner of Oro Restaurant, is one to watch. When I visited the restaurant in 2010, he made me their 'O Bosque' dessert—which means 'The Woods' in Portuguese. Fitting, as all of the ingredients come from the Amazon rainforest. First, two ice creams are made right at the table." "The first is made from baru nut, caramelized sugar and salt. 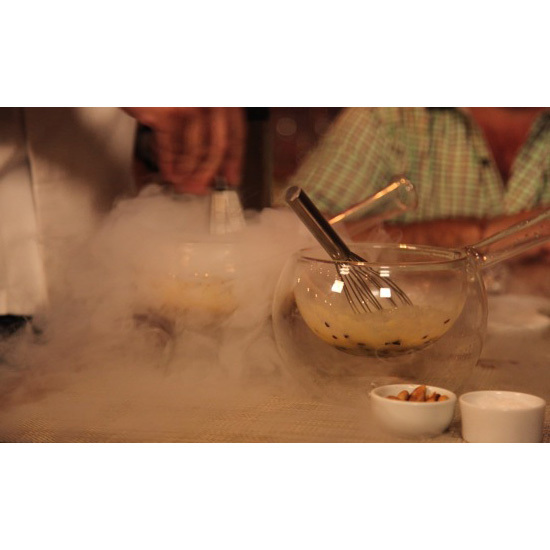 The second is a sorbet of cocoa on a base of cupuacu (Brazilian passion fruit) topped with shredded licuri coconut and flash frozen with liquid nitrogen. I just love that this dish is so tied to the region. You couldn't really recreate it anywhere else." 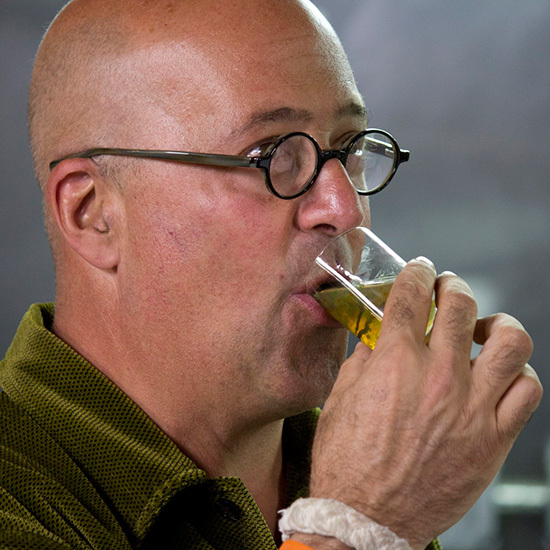 "Ever sipped on a glass of everything bagel? Nathan Myhrvold and his team at Intellectual Ventures, the Seattle business that supports and funds inventors, have made that possible." 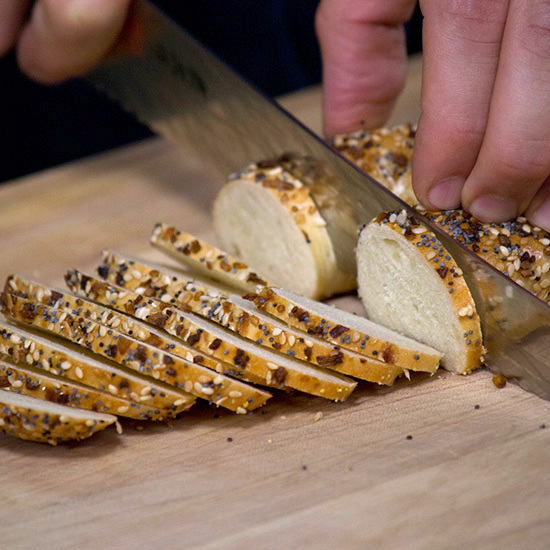 "Here's how: the bagel is sliced thin. The slices are then placed into a bag with distilled tomato water. Vacuum pack the bag, break up the bagel until it becomes a mush and let sit for three or four hours. Drain out the liquid and you're left with an intense bagel liquid." 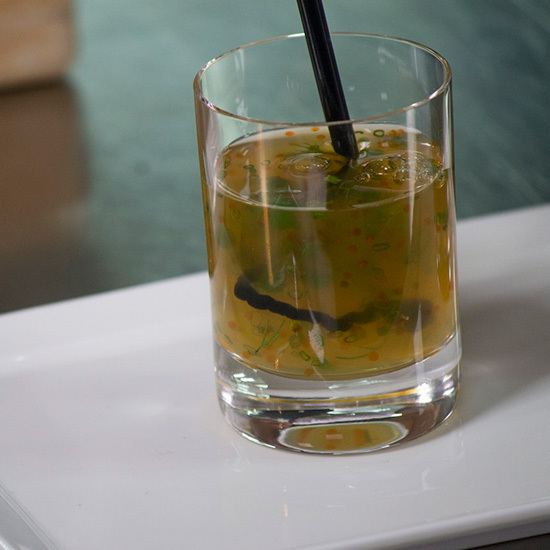 "The liquid is thickened with seaweed extract, flavored with essence of dill and the roe of flying fish. Added is a ribbon of squid ink, which is painted though the concoction. What you're left with tastes exactly like an everything bagel, minus all of the textures you'd expect with those flavors. It messes with your mind!" "Piccolo in Minneapolis is one of my favorite places in the Twin Cities. I love Doug Flicker's philosophy—small plates that offer two to three perfect bites. On a recent trip there, I fell in love with a dish made of duck breast and partridge, held together with the help of transglutaminase, aka 'meat glue.' It chemically binds proteins together. (Note: this recipe is currently not offered on their menu.)" 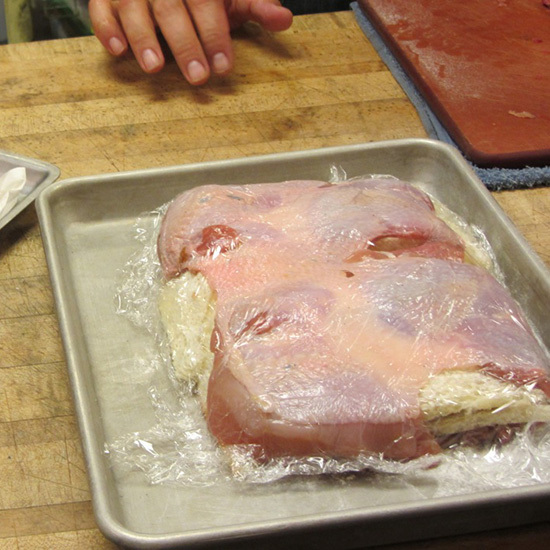 "The dish was made by deboning a partridge and attaching it to duck tenders using the meat glue. Then Flicker adds a layer of brioche, then lardo (pure, cured pork fat). The dish is pressed into neat little package, then pan seared. 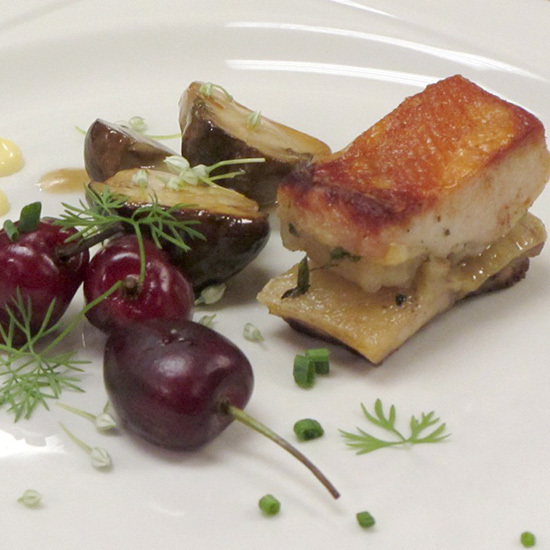 Then it's served with a garnish of cherry and mushroom. It's like a rainbow of unctuous, meaty flavors. Flicker is a genius."